A few weeks ago, Adam and I were excited to hear that we won a new slow cooker. Since the day we received our slow cooker in the mail, we've gone to work to start experimenting with and preparing recipes to share with you. Today, I'm sharing my Slow Cooker Pork Carnitas with Lime, Chipotle, and Salsa Verde recipe that is very easy to make and tastes authentically delicious! 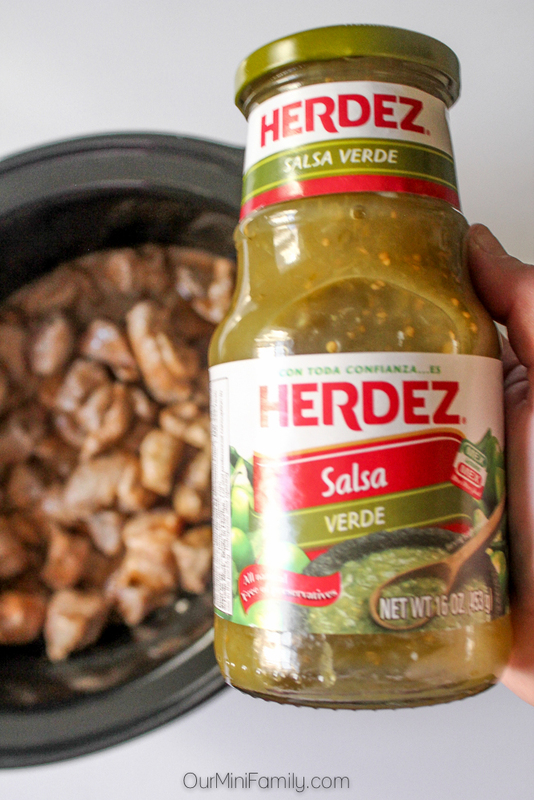 For today's slow cooker recipe, we've partnered with HERDEZ® since my carnitas recipe base uses HERDEZ® Salsa Verde. Along with the recipe below, we're also sharing the details about an exciting Instagram sweepstakes we'd like YOU to enter to win! 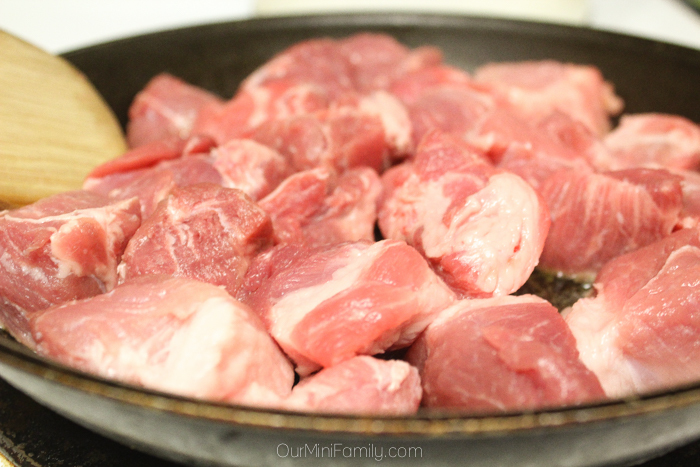 Chop and brown pork in oil in a large skillet on the stovetop. If you have lime olive oil, brown it in this. Otherwise, extra virgin olive oil will be fine. Combine beef broth with lime juice, orange juice, adobo sauce, seasoned salt, garlic powder, salsa verde, and chili powder in your slow cooker. Mix well. 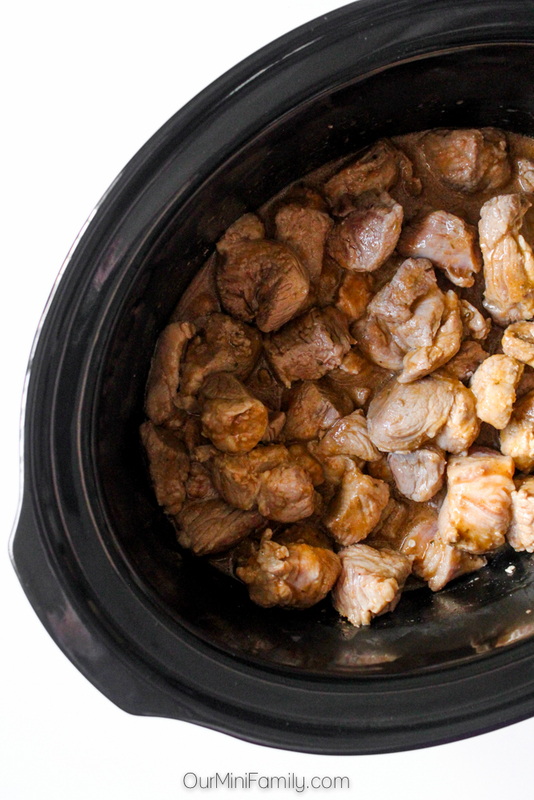 Pour in your browned pork along with its oil and juices into the slow cooker. Cook in the slow cooker on high for 6-7 hours. 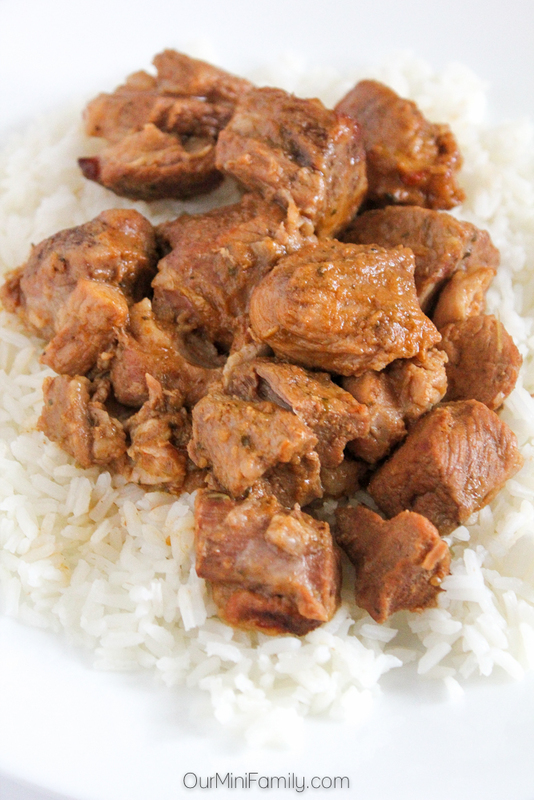 Remove from slow cooker when meat is fully cooked and fork-tender, and then either serve over rice or use a fork to pull meat into large shreds (for tacos, burritos, quesadillas, nachos, enchiladas, etc). Alternatively, to cook this meal in the oven: brown pork as you would on the stovetop in oil, and combine ingredients in step #2 in a deep, oven-safe baking dish. Cook in the oven for 2-3 hours at 325 degrees (F). Check the pork to see if it is fully cooked and fork-tender at 2 hours mark, and continue to bake as necessary. HERDEZ® Salsa Verde is more than just salsa--we love to use it as a marinating base for many of our Southwestern-inspired recipes that Adam and I enjoying making. Comfort food with a Southwestern dish brings families together, and that's why we've partnered with HERDEZ® today to tell you all about an exciting sweepstakes! Las Posadas is a Mexican Christmas tradition, and Adam and I are sharing our Slow Cooker Pork Carnitas with Lime, Chipotle, and Salsa Verde recipe to bring joy (and delicious food) to our friends and family! Share the Magic of #MisPosadas photo contest on Instagram! Grand Prize: Dinner prepared by a personal chef for up to 4 people in your very own home! Learn more about the contest details here and enter to win! Good luck!! people in your very own home! This Slow Cooker Pork Carnitas with Lime, Chipotle, and Salsa Verde recipe is an easy, Mexican dish that anyone can make! 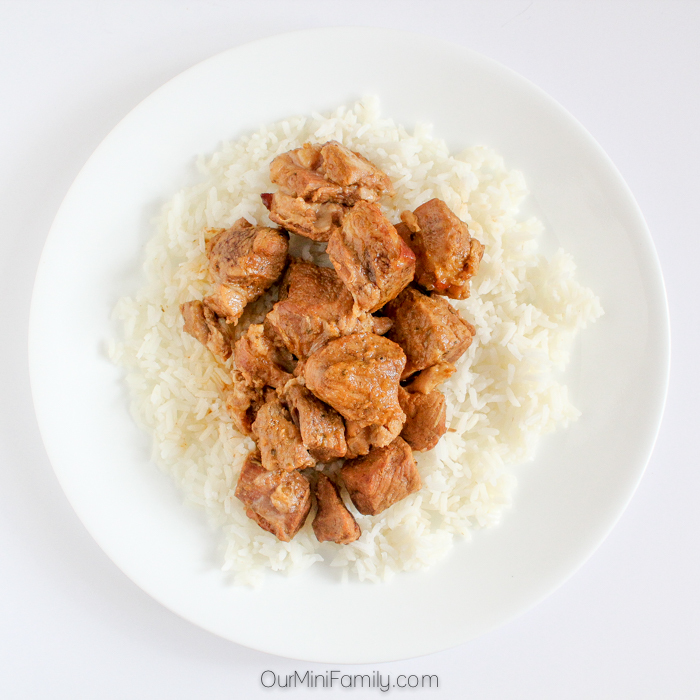 If you can successfully mix ingredients together and brown pork on the stove, this recipe is a fail-proof dish for you to make and enjoy! 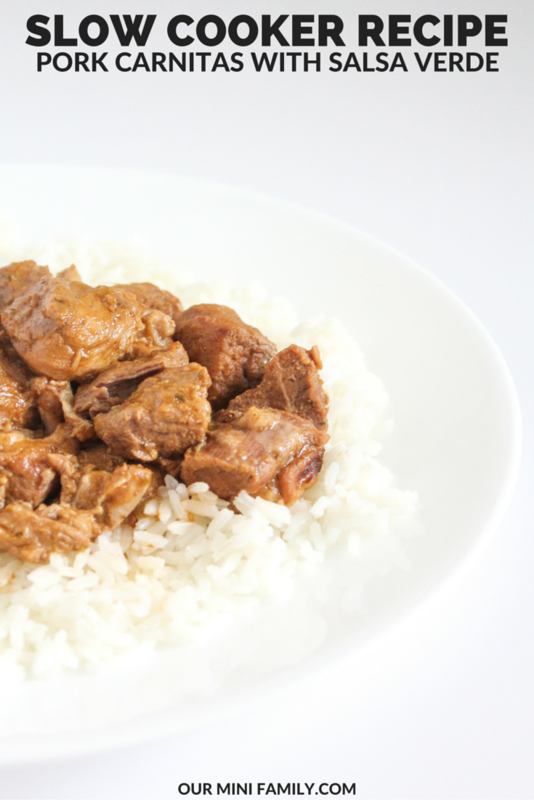 We hope you enjoy this recipe of ours today, and I am excited to share even more slow cooker recipes with you in the future! Speaking of which, do you have any requests for future slow cooker recipes? Be sure to comment below and let us know if you have any requests! What is your all-time favorite slow cooker recipe? Many thanks to the HERDEZ® brand for partnering with me on this Las Posadas-inspired recipe! We are eating this tonight and sending this to family in NY who love Carnitas. Thanks for sharing on Home & Garden Thursday. Awesome Heather!! How did you like it? I love my slow cooker- it's like a basic survival tool for me! We don't eat too much pork but this would be a fun spin on Taco Tuesday! 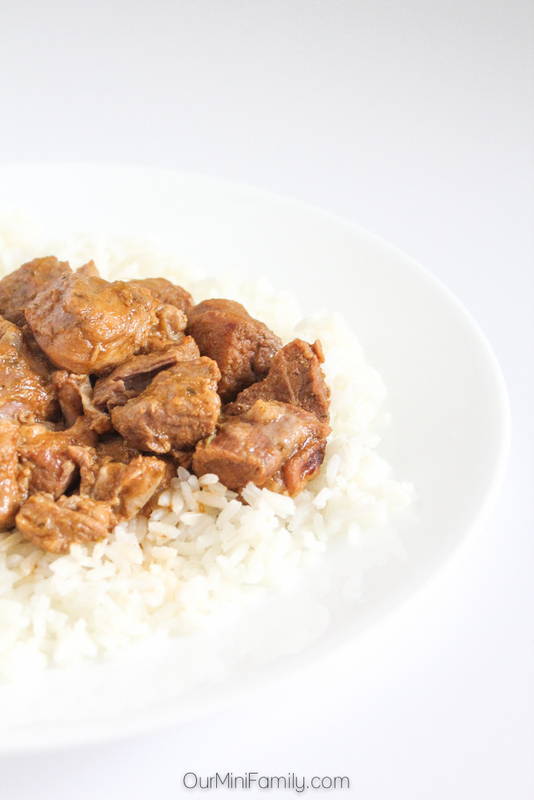 Oh man, I am slow cooker obessed and this sounds just amazing! Adding it to my to make list! I love to cook with salsa verde - I have an awesome white bean chili recipe with salsa verde. I will have to try this one - I think my boys will love it! I am a vegetarian but as usual a well thought out recipe. Excellent photography too. Oh I love salsa verde! One of my absolute favorites. I never actually cook with it though...I tend to just eat it with nachos :-) I will have to try this recipe, I love anything I can put in the crock pot! This looks amazing. Now I am hungry and I want to try this recipe asap. I am pinning now! I can totally relate to this. I just won a slow cooker from a giveaway and have been looking for slow cooker recipes. I'm going to have to try this one. How awesome! You won one, too! Omg! This looks so yummy! Definitely going to pin so I can try this myself.